Are you waiting for offline Dictionary? 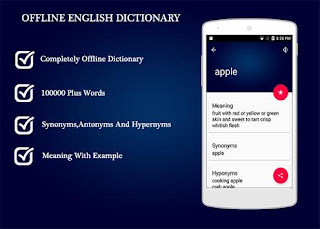 There are thousands of million Dictionary Apps you can find on Play Store but “offline English Dictionary” is the leading and user trusted English Dictionary Now you can download. 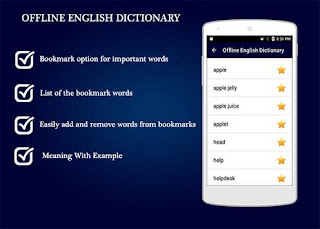 Offline English Dictionary is a free offline dictionary (Vocabulary)Offline English Dictionary application explains the meaning of English words.it contains more than 145000... Words with Meaning Examples, Synonyms,Antonyms, and Hypernyms Work completely offline no need of Internet or any further file to download.Now build your Vocabulary with the help of Offline English Dictionary. 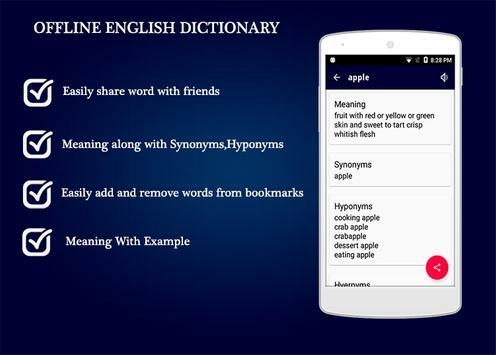 A Mobile based English Dictionary is ideal for everyone especially for Academic like Students. And Best helpful for English Learner. Totally offline and Free English Dictionary with constantly updated Vocabulary. 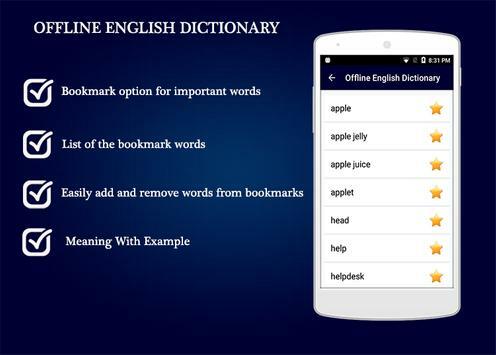 Offline English Dictionary contain more than 145000 words and about 240000+ definition with Audio of that Words to learn pronunciation of English word effectively..offline English Dictionary is First offline Dictionary that providing bookmark facility to add your favorite words. 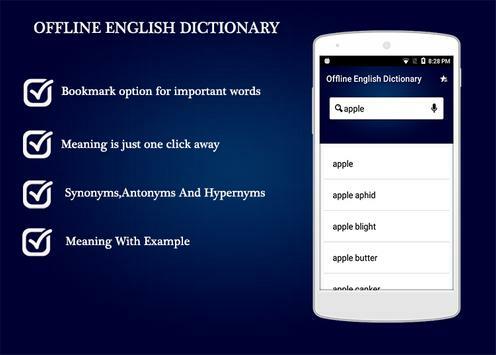 Best and unique Feature of “offline English Dictionary” is its intelligent searching when user type words it automatically display that words which user are looking for and also with spelling check Algorithm. 👉 Text to speech option (Audio pronunciation) 👂. 👉 Completely Offline no Need of Internet. 👉 Bookmarks Option to add words to the favorite list📘. 👉 Share Option to share words with friends.